Today, F2p.com is teaming up with Suba Games to offer you this Closed Beta Giveaway for 9Dragons. Step 3. 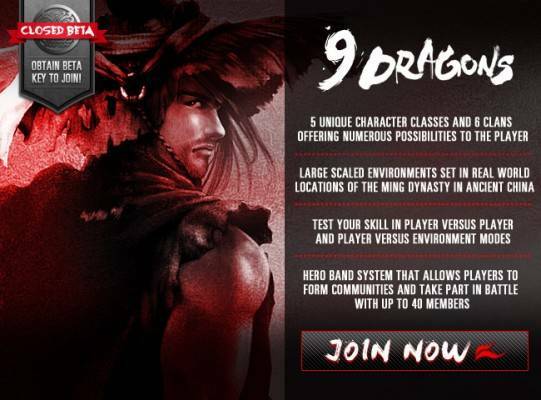 Create your account on 9Dragons . Step 4. Redeem your closed beta key on the 9Dragons promotion page and submit your beta key. 2 Comments - "9Dragons, Closed Beta Keys Giveaway"